Top 10 Scaled bikes (mini bike model toys) – Ducati, KTM, BMW and Harley davidson die-cast models. People started to make die-cast models (using the die casting method) in the beginning of 20th (1940’s) century. This was done by forcing molten metal into a mould cavity under high pressure. In the past, die cast models where made entirely with metal. Nowadays most of these toys are made with a combination of metal, plastic, rubber or glass materials. Most commonly used scales for creating miniature model of vehicle are 1:12 (highly detailed), 1:18, 1:43 (common for die-cast cars) etc. Most of the following models are made on 1:12 scale. Miniature representation of automobile like cars & bikes are the most demanded among diecast enthusiasts. These includes truck, bus, ATV’s, aeroplanes, Cars etc. People collect die cast models for hobby (classic automobile models) or just for fun/showcasing. 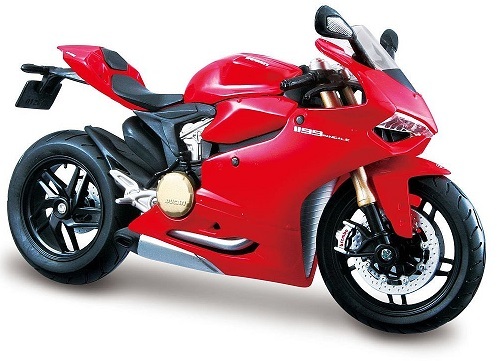 Following are the top ten best selling die-cast bike models toys in Indian market. Material used – ABS plastic & rubber parts, latest in die cast technology & paint.